Master Cutlery HK-983ZZ Black Widow Trench Knife. 7 1/4" stainless steel blade with custom designed holes. 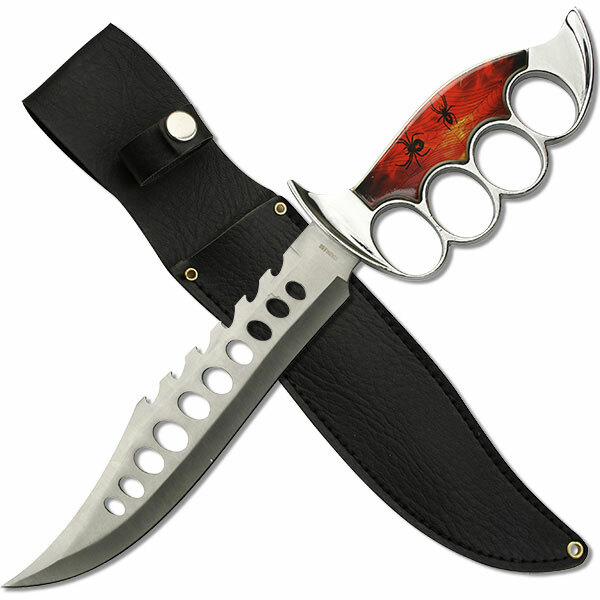 Knuckle protectors with a custom black widow spider inlay design on the handle. Comes with custom sheath.